I continue to read Steve Jobs biography by Walter Isaacson and found a few more revelations about Mountain View home where Steve Jobes lived for eight years. 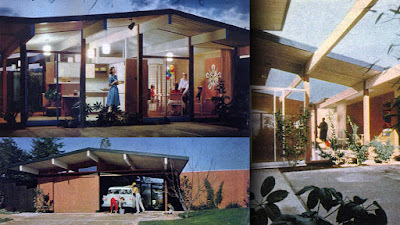 Joseph Eichler, whose company spawned more than eleven thousand homes in various California subdivisions between 1950 and 1974. Inspired by Frank Lloyd Wright’s vision of simple modern homes for the American “everyman,” Cbuilt inexpensive houses that featured floor-toceiling glass walls, open floor plans, exposed post-and-beam construction, concrete slab floors, and lots of sliding glass doors. “Eichler did a great thing,” Jobs said on one of our walks around the neighborhood. “His houses were smart and cheap and good. They brought clean design and simple taste to lower-income people. They had awesome little features, like radiant heating in the floors. You put carpet on them, and we had nice toasty floors when we were kids. The home in Monta Loma neighborhood of Mountain View was built in 1955, still stands at 286 Diablo Avenue and approximately price is $850,000. I am curious if the radiant heating in the floors still works.